Rohit gets a chance again, so what’s new? you may ask. Rohit Sharma had an extremely poor 2012. The guy averaged 13 in 2012 and gets picked again in the squad for the series against England. The reason given by the selectors was that there were no alternatives due to the injury to Manoj Tiwary. Now Ajinkya Rahane who seemed to be the first choice opener for India in the ongoing ODI series against England gets the boot from the team only after 2 failures. It is interesting scenario as players like Rahane and Manoj Tiwary don’t enjoy the same sort of support Rohit does. It might be frustrating for these youngsters who will be thinking what they have done wrong to deserve this treatment. Rohit now walks back into the X1 replacing Rahane and scores a match winning 82 and seals his spot in the X1 for few more games. This means that neither Tiwary nor Rahane stand a chance to make it to the X1 for the upcoming ODI games. It will be great if the selection of players in the X1 is fair for all. Young players need time to succeed; you cannot drop them based on couple of failures. I just hope that all youngsters get a fair run in the team instead of getting a boot for couple of poor innings. You cannot expect players like Rahane to play with the pressure of being replaced every time they walk out to the middle. It would have been great if the Indian think tank had persisted with Rahane for the entire series but that is not to be. I am very disappointed with Rohit’s selection, no matter what he did today with the bat. He did not deserve to be in the squad for this series leave alone the playing X1. The team for the upcoming ODI series against England was announced yesterday and the selection committee dropped Sehwag for the first 3 ODI’s. Sehwag has been pretty poor over the past year and has been rightly dropped for young Ajinkya Rahane. Since the double hundred against West Indies in December 2011, Sehwag averages just 23 from 11 games. Rohit Sharma retains his spot in the squad in spite of having a poor 2012. Rohit averaged just 13 over the last 14 games which makes his selection pretty perplexing. The selectors said Rohit’s selection was due to lack of alternatives. Manoj Tiwary’s injury also was another reason for Rohit to retain his spot in the squad. Cheteshwar Pujara received his much deserved maiden ODI call up after some great performances in domestic cricket. The rest of the squad which recently lost to Pakistan was retained for the first 3 ODI’s against England. 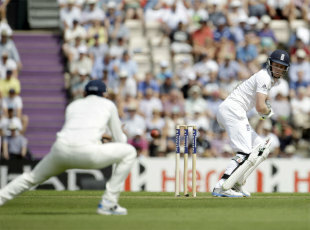 The performances of B Kumar and Shami Ahmed meant that they retained their spots for the England series too. Ishant was India’s second best pacer in the series against Pakistan behind B Kumar and seemed to have gotten his groove back. R Jadeja too retained his spot with a good all round show in the final ODI against Pakistan. Dinda and Mishra who were in the squad against Pakistan were also retained for the series against England. The biggest concern for India has been their batting over the past few months and the addition of Pujara to the lineup seems to be an effort to strengthen the fragile top order. It will be interesting to see though if he gets in to the X1 though. Sehwag’s absence means that Rahane will open the batting with Gautam Gambhir. Kohli will come in at number 3 followed by Yuvraj, Dhoni and Raina. 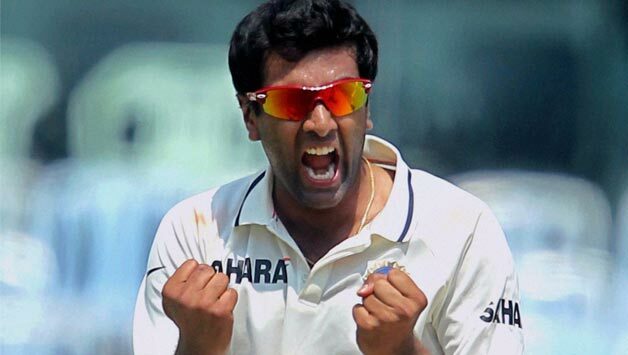 Jadeja and Ashwin will be the specialist spinners in the squad followed by B Kumar, Ishant and Shami Ahmed. India will hope that their batsmen get into some sort of form against an English attack which got better of them in the just concluded test series. Virat Kohli’s form will be a big concern as he was India’s best player over the past two years in the 50 over format. The bowling looked in decent shape against Pakistan in the just concluded series and the bowling of young B Kumar and Shami Ahmed was particularly impressive with the new ball. This will be an interesting series as England is not known to be a great ODI squad but have had a great 2012 in terms of results in the shorter format. India though had pretty mixed 2012 and hasn’t begun 2013 on a great note. Both teams will go all out and it will be interesting to see how the Indian batting lineup fares against a good English pace attack. MS Dhoni (capt), Cheteshwar Pujara, Gautam Gambhir, Virat Kohli, Yuvraj Singh, Rohit Sharma, Suresh Raina, Ravindra Jadeja, R Ashwin, Ishant Sharma, Ajinkya Rahane, Ashok Dinda, Bhuvneshwar Kumar, Shami Ahmed, Amit Mishra.